They say timing is everything! Well, that proved to be the case on Tuesday. It's sod's law that the day we didn't upload a guest blog post from sprint supremo E.R.I.C it comes back to haunt us. He fired in two out of three winners: 10/1, 8/1...the unplaced selection was 33/1. He detailed his tips here. A frustrating day. All my fault - a lesson learned. 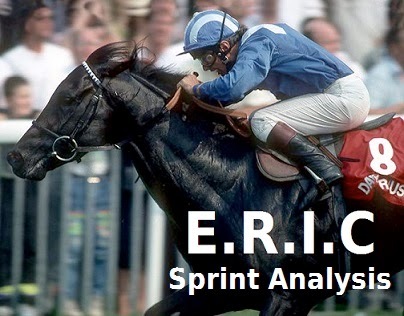 Here is his latest sprint race analysis.